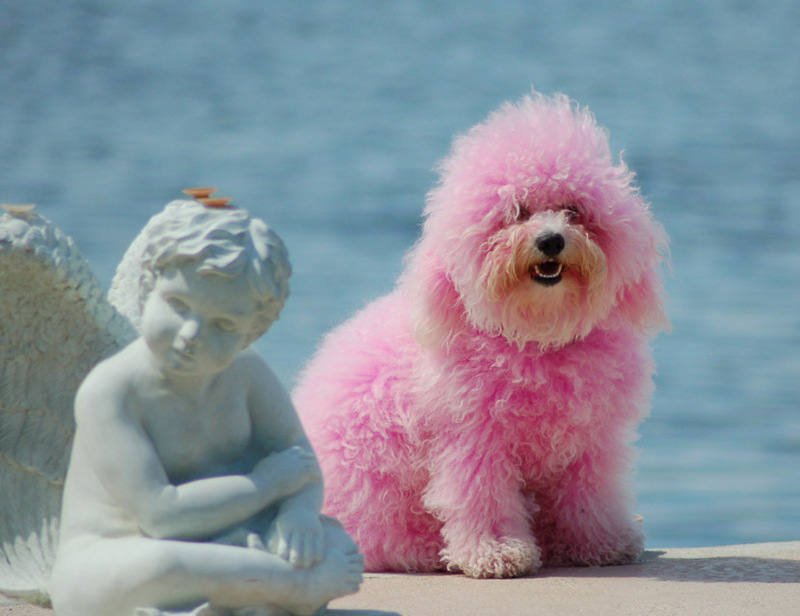 Hello-Hello, and Happy National Pink Day! This is perfect timing, coinciding nicely with the big news of the day for royal watchers: word that Monaco’s Prince Albert is engaged to Charlene Wittstock of South Africa. Below, the official photograph released by the Palace accompanying the announcement. We saw many photos of the couple over the weekend in our posts on the Swedish royal wedding of Princess Victoria. Here are two more pictures from this weekend’s festivities. Today’s happy news lets us segue properly into our primary topic, a celebration of our favorite color here at the Prepatorium. We begin with an image of the famed royal residence. In the photo above the Palace in Monaco appears rather more pink than it actually is, but a lovely sight nonetheless. Other pink structures we stumbled across include this rental home not far from the white cliffs of Dover in the UK. Many are familiar with the Royal Sheraton in Hawaii. 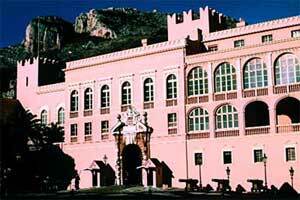 While the Monaco residence is considered an icon, others think of this when hearing the ‘Pink Palace’ moniker. From Chess City in Russia. The pink highrise was photographed in our former hometown, Denver. If a pink building isn’t on the horizon, an interior in these tones is always a possibility. The pink and green room seen below was designed by Steven Miller Design, originally viewed here. Our next Pretty in Pink room is from designer Jennifer Frank. A more formal setting is found in this living room by designer Grace Sielaff. This room might be more conducive to sleep. Locating furnishings in our favorite color is nowhere near as difficult as it was in TP’s day. Below, PB Teen’s Cushy Lounge Love Seat. One would want a large space to house this Bruehl piece. Some may recall this post with our bespoke pink chair from Squint. Surely locating a pink vehicle is far more challenging than doing a room in the color, no? 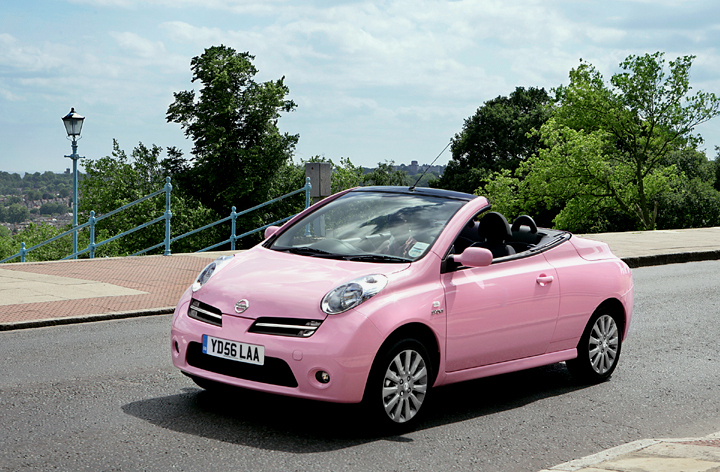 Who can ignore this adorable electric car from Lilly Pulitzer? 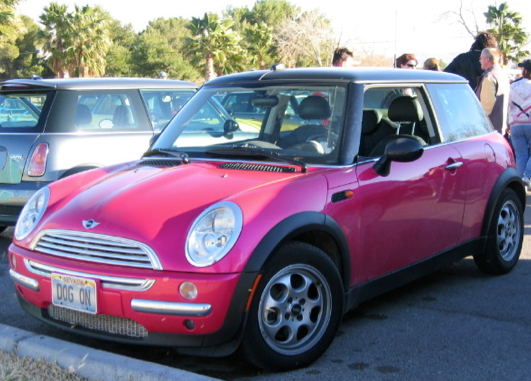 The pink Mini is destined to stand out. 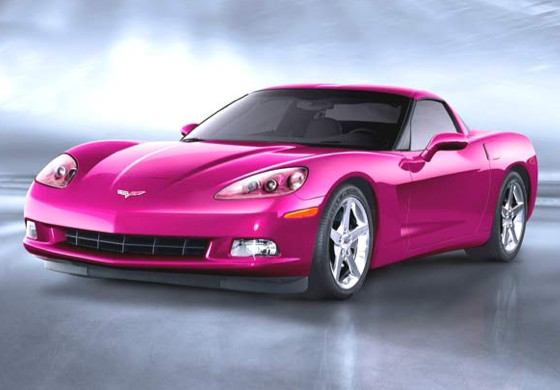 As will the pink Corvette, sure to attract attention. Who can forget Barbie’s pink Fiat for her 50th anniversary? Sadly, many readers may remember this monstrosity and the AntiPrep flaunting it. Our treasured readers won’t be surprised to read that we definitely like the Estate Wagon pedal car. We are rather fond of the pink Pedal Plane. The notion of pink aircraft is troubling. Many of us have spent far more time on an Airbus A-320 than we want to remember, but never on this one. Pink ships are also baffling. 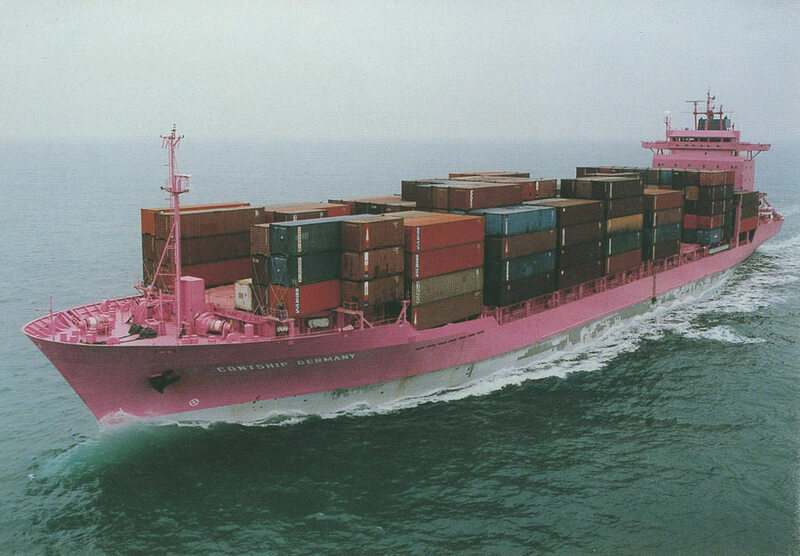 Let alone a pink freighter. Surely the pink bulldozer is an anomaly. The Pink Toe Truck has us nonplussed. Some things simply should not be pink. 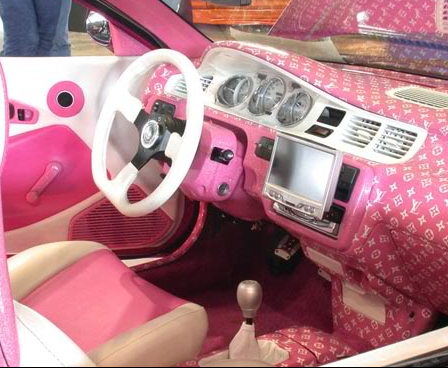 Car interiors would be near the top of that list; this is clearly a Crime Against Pink. Other things that shouldn’t be pink? 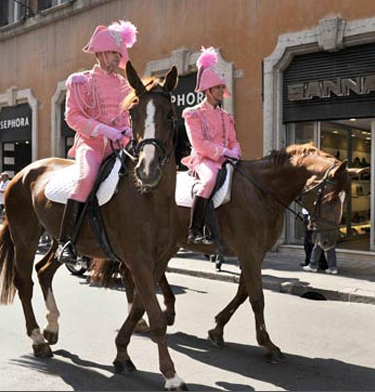 We are not surprised by pink uniforms, merely the number of people wearing them in this image. We admit to being taken aback by this image. More men in pink on the job. The vintage PSA Airline uniforms and aircraft raised our eyebrows. Below, more people in pink as part of a breast cancer awareness initiative, these folks are getting ready for a fundraising walk in Kuala Lumpur. There are things we never considered, like a pink-clad chain gang; below, inmates from the Maricopa County jail. Nor did we envision a hot air balloon shaped like a pink house. While we shudder at the specter of pink boats…. We are on the bubble when it comes to the Pink Flamingo Pedal Boat. Here is one pink watercraft we like, this one rowed by the women of Cape Cod Rowing as a reminder that one in eight women develops breast cancer. The pink hay bales have a whimsical appeal. There are all manner of pink drinks. We have never experienced pink Jello in person. When it comes to food, what could be better than these yummies? And who could resist this stunning creation from Pink Cakebox? Or these treasures via It’s a Piece of Cake? And this is something we could never turn away from, also by Pink Cakebox. “Viennese art group Gelatin designed the giant soft toy and say it was “knitted by dozens of grannies out of pink wool”. Group member Wolfgang Gantner said: “It’s supposed to make you feel small, like Gulliver. You walk around it and you can’t help but smile. And Gelatin members say the bunny is not just for walking around – they are expecting hikers to climb its 20 foot sides and relax on its belly. Clearly a prime candidate for inclusion in our You Can’t Make This Stuff Up category. We also have to share just one more thing, with thanks to our dear friend Julie for sending it along last night, creating quite the tizzy. The fun begins on July 25. May you enjoy a wonderful day of pretty pink things wherever you may travel!